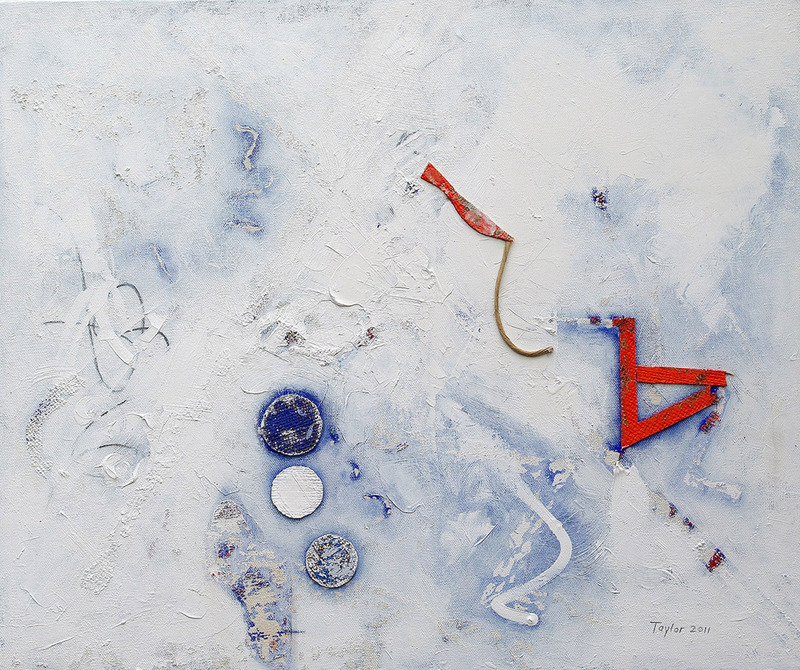 "White has fascinated me for as long as I can remember. 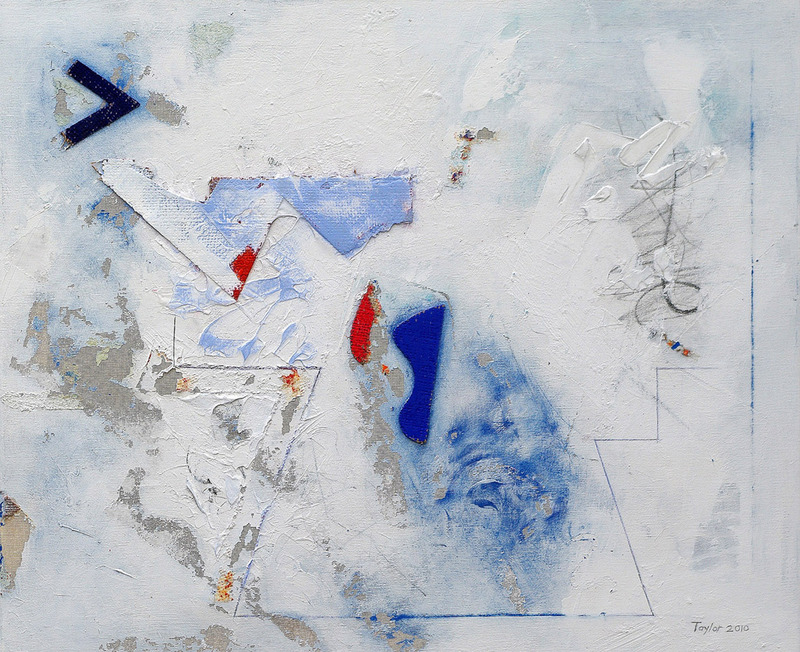 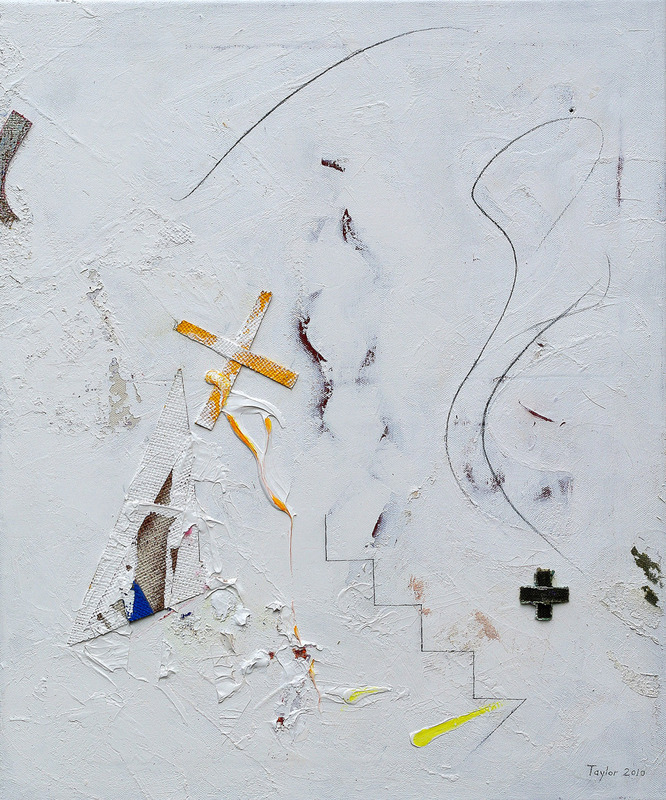 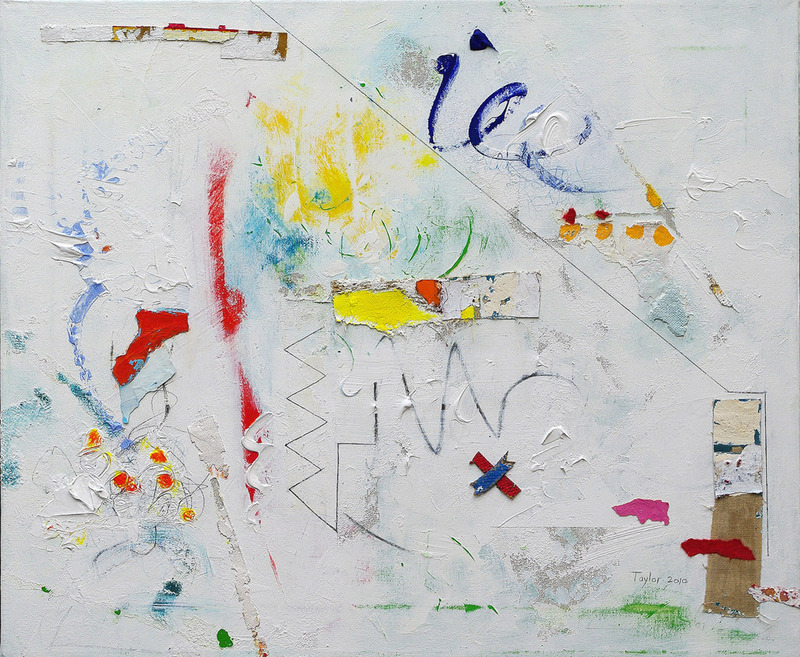 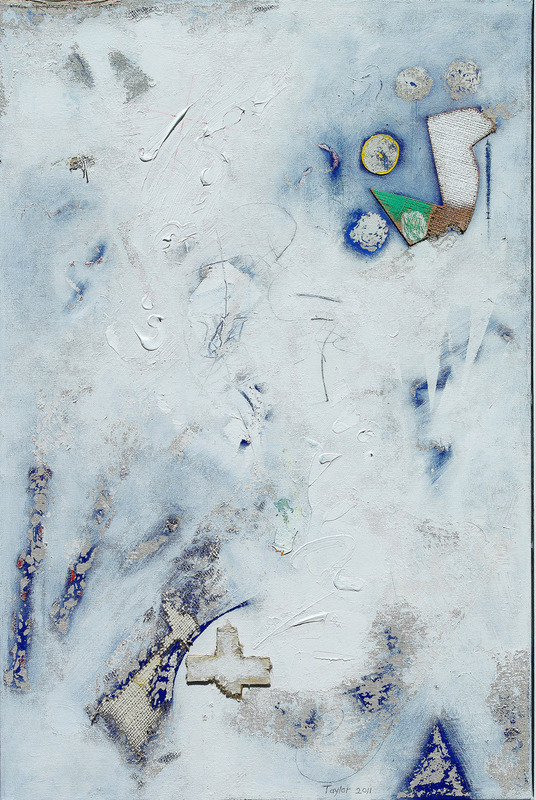 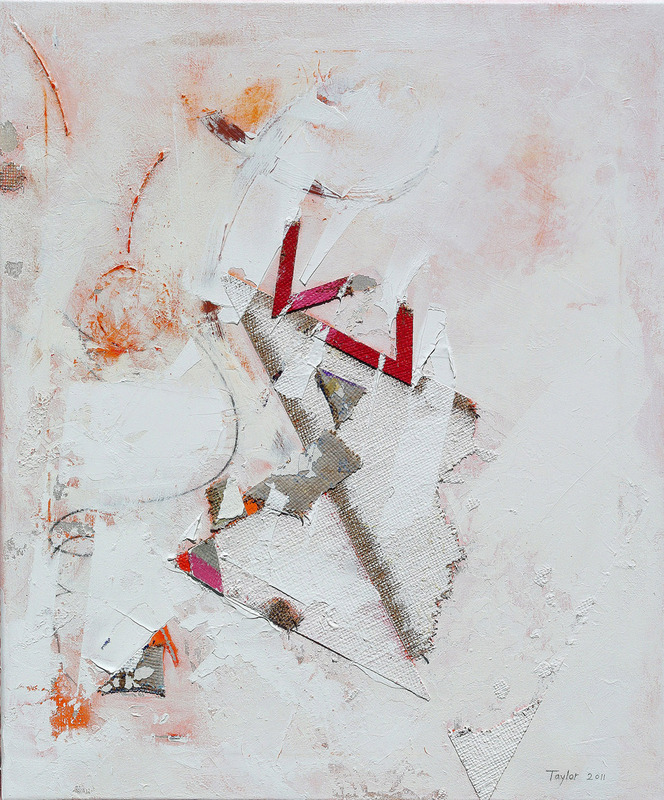 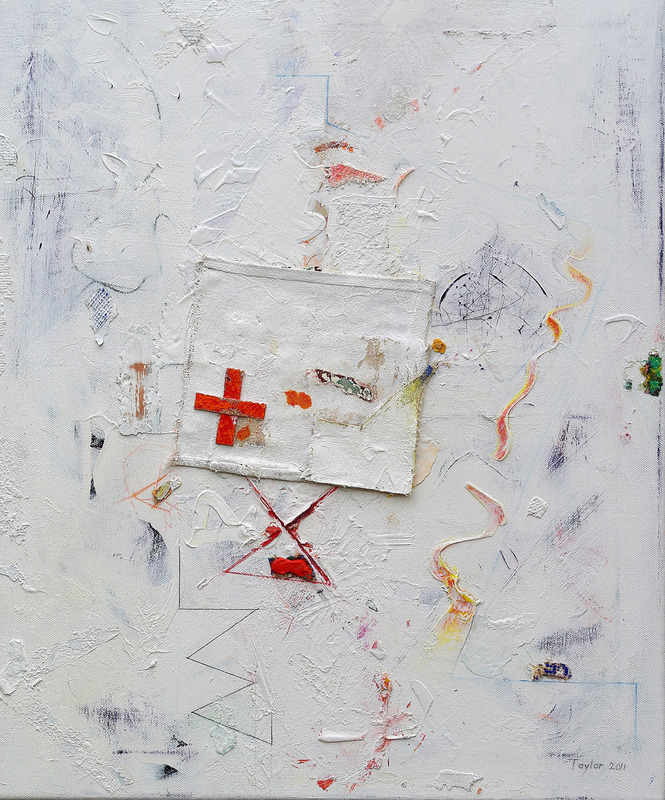 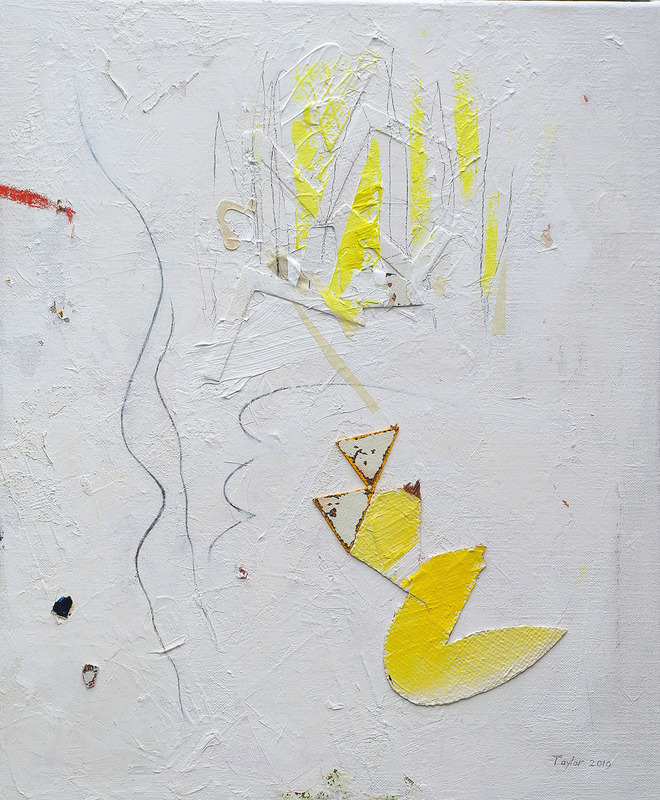 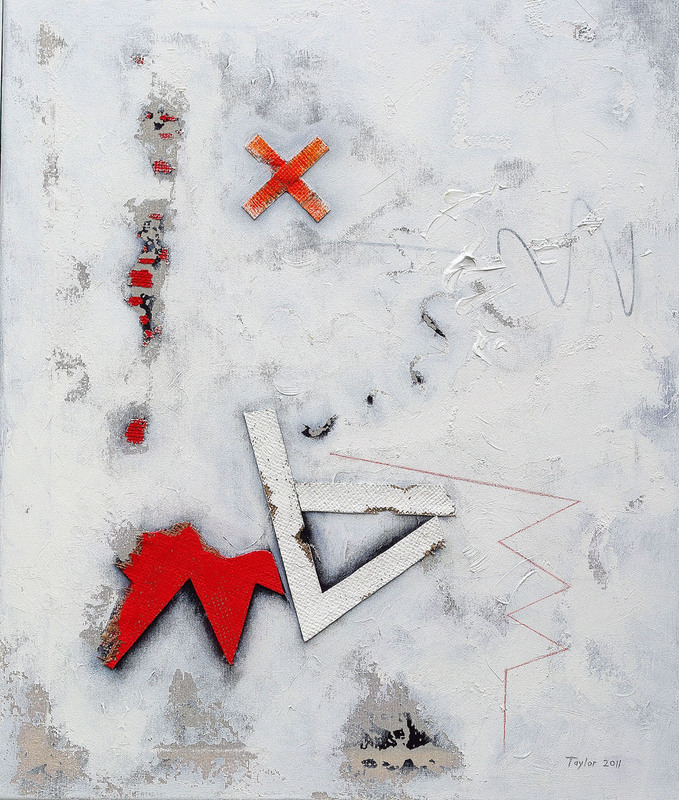 I have made numerous white paintings, collages and constructions, many of them long lost and unlikely to be recovered. 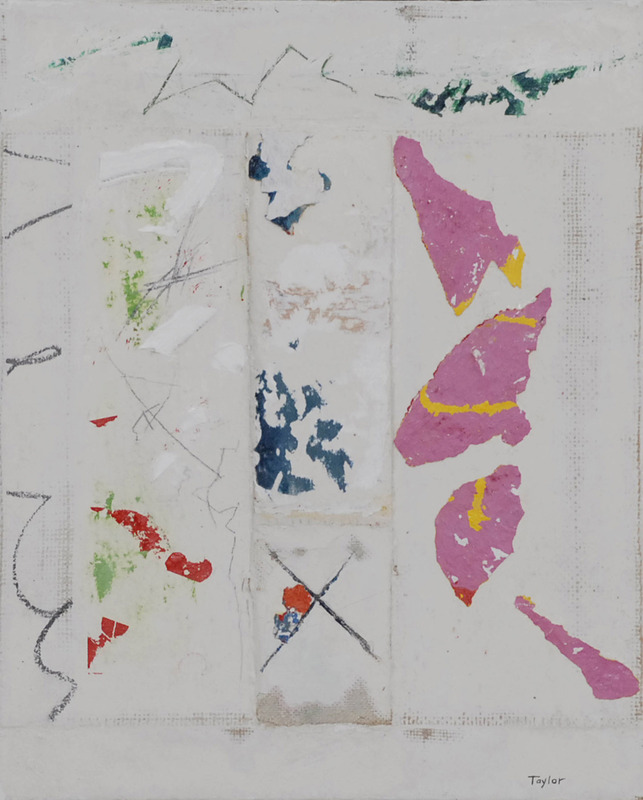 I made white constructions at Banbury School or Art in 1959-63, some of them with Michael Baldwin, later of 'Art and Language'. 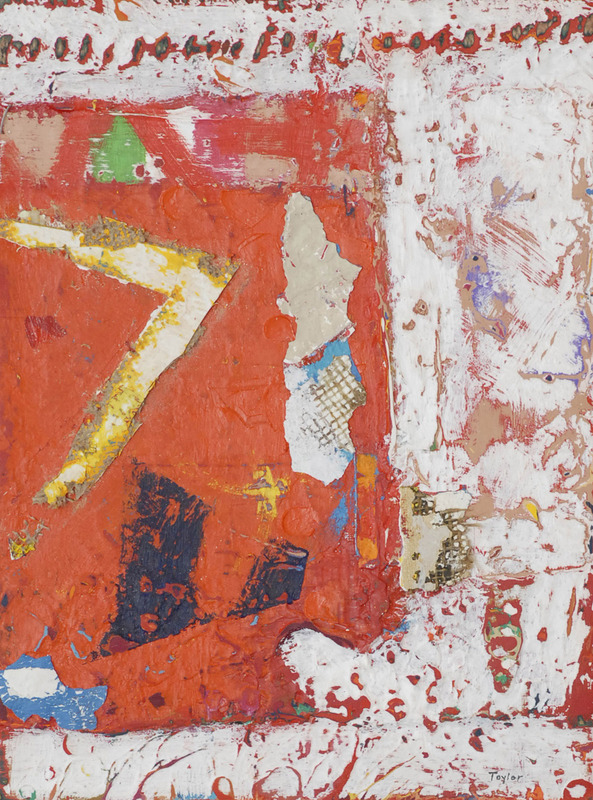 Some were fairly large up to about five feet by five feet and were hung in the Art School and in local exhibitions. 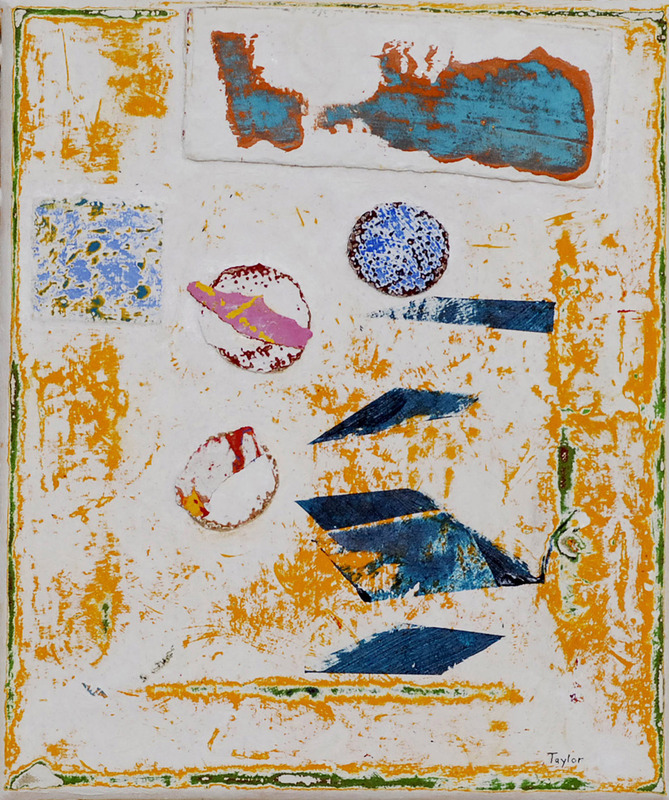 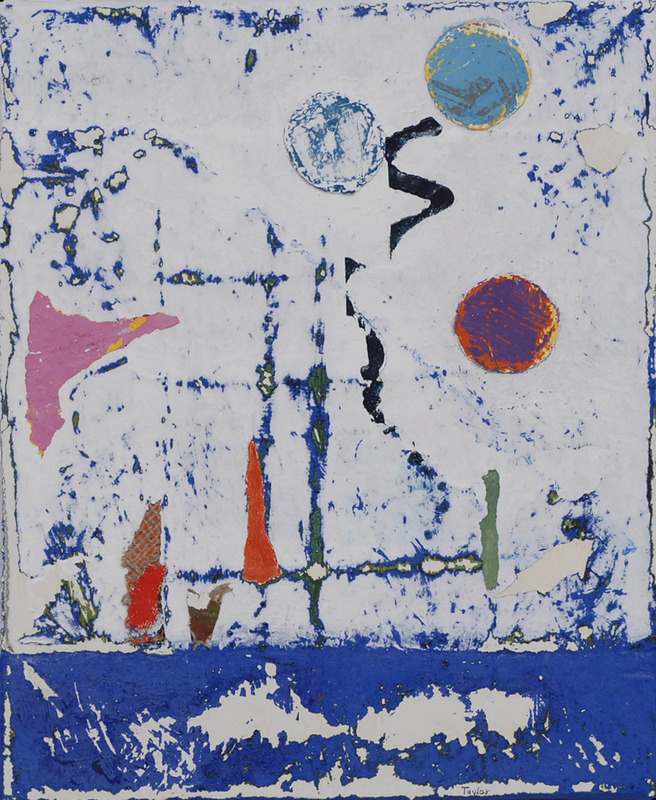 The constructions were continued into the late sixties running parallel with painting, Terry Frost took an interest in them and in '66 at least one was shown at the former Bear Lane Gallery in Oxford and was mentioned in Arts Review. 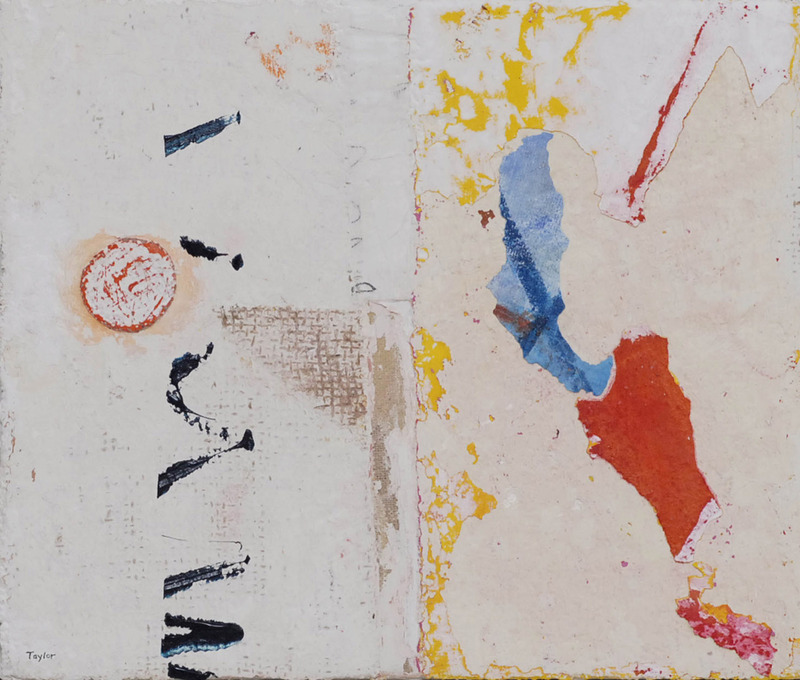 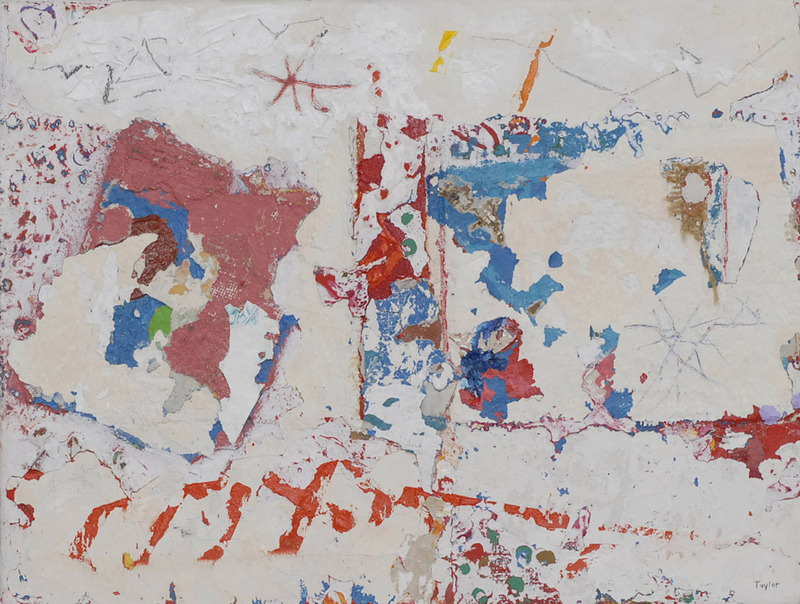 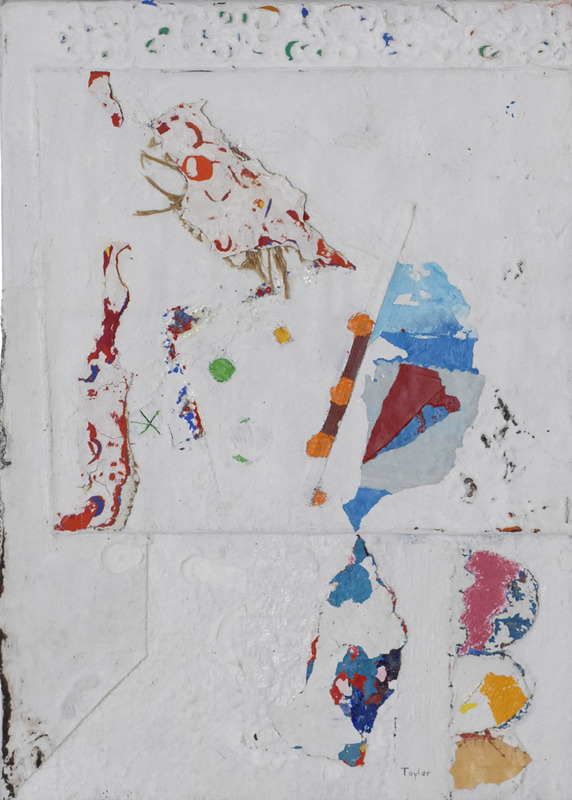 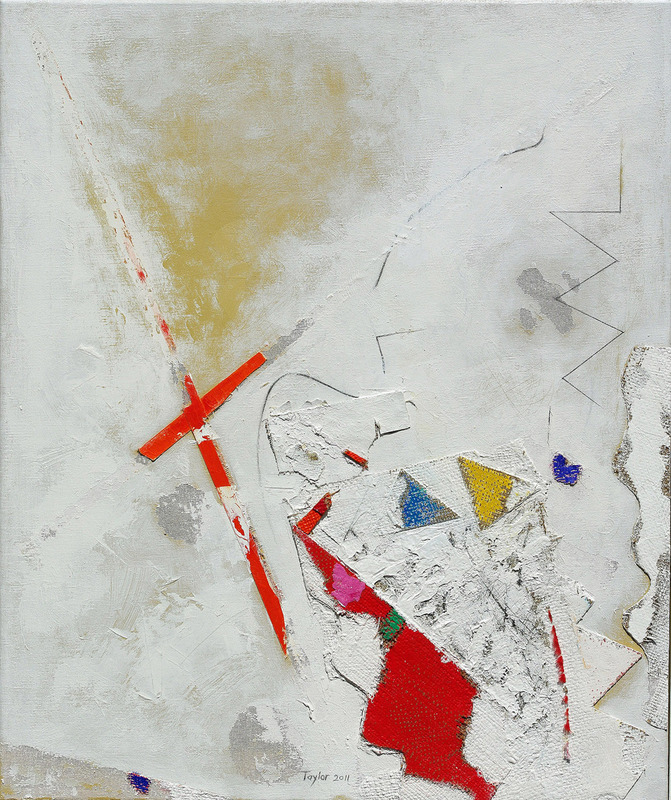 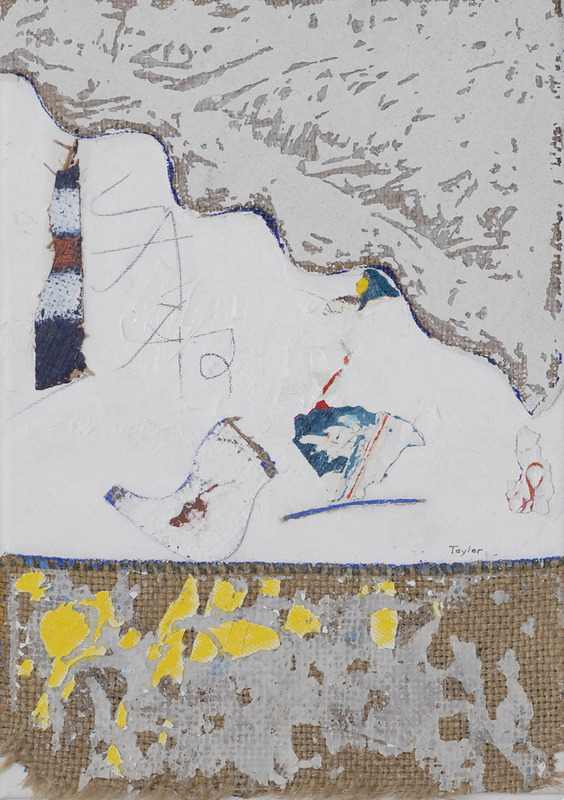 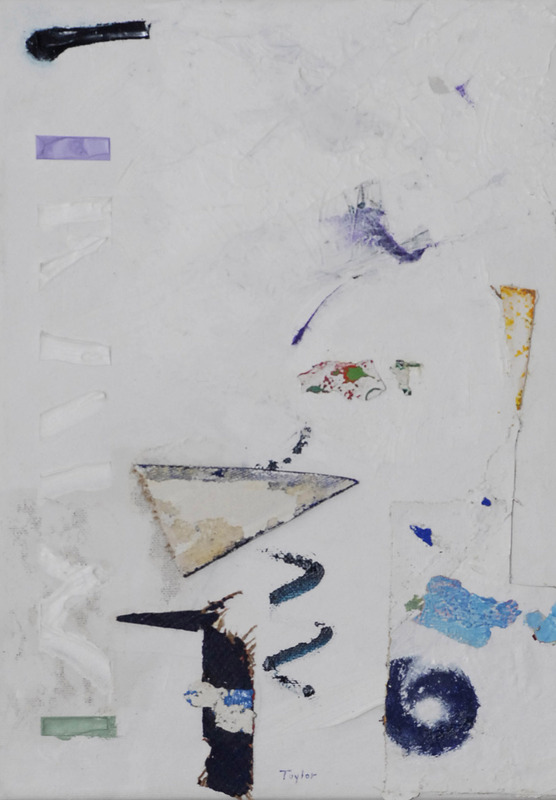 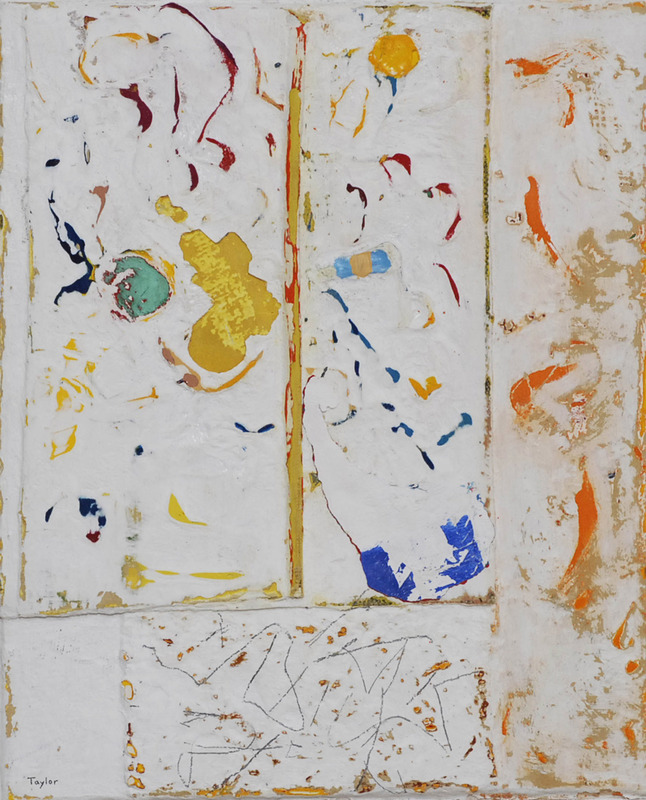 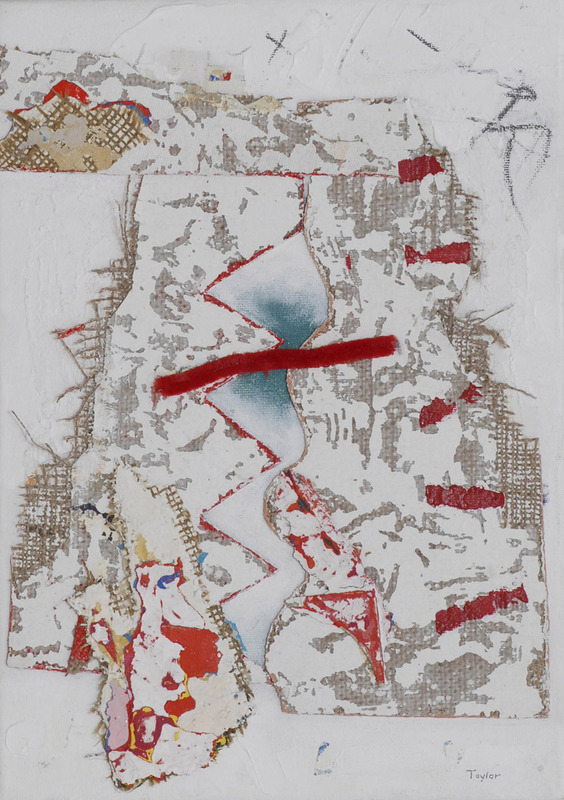 The white, painted collages then took over and whilst the constructions were timber onto plywood, the collages were largely hessian glued to stretched canvas." 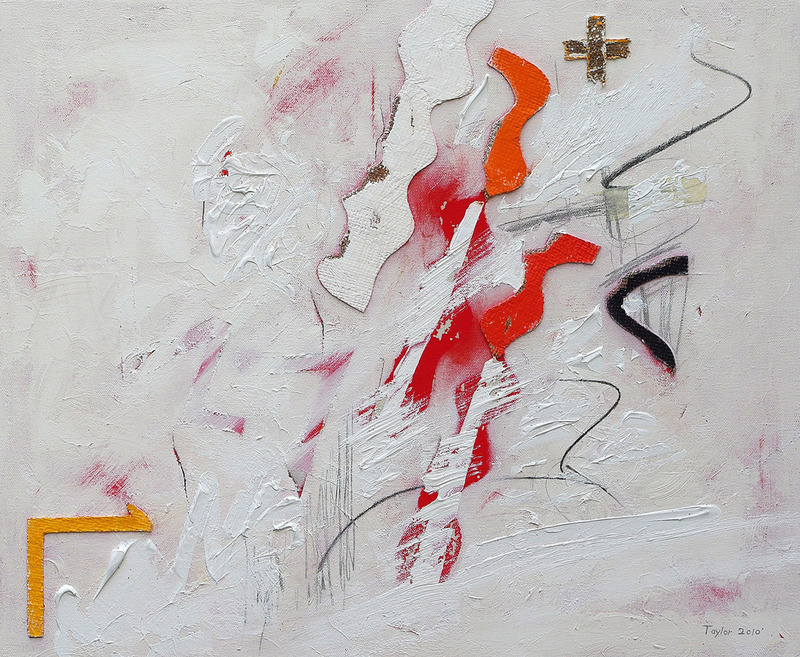 "My paintings are explorations of possibilities. 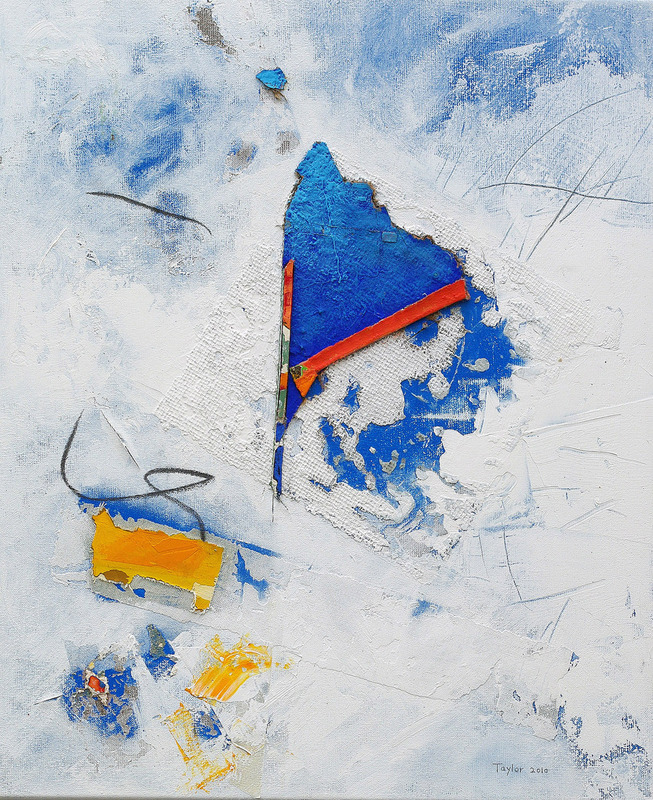 I begin with a blank ground, cover it in colour, usually pastel and acrylic, stick materials to it, scrape away the paint, peel back the material, cut into the impasto, sometimes also cutting into the canvas itself. 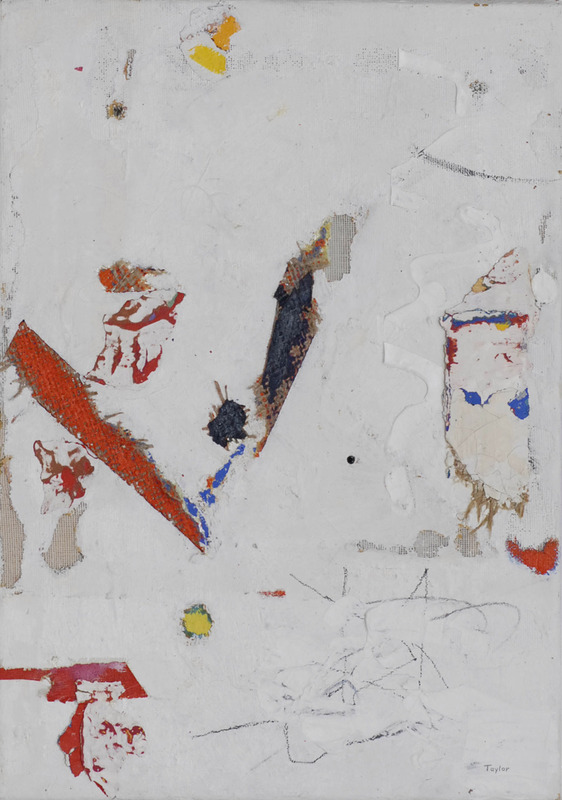 Add marks, with brush, palette knife, crayon or pencil in a continuous process of addition and reduction that is far more akin to an 'act' or an 'event' than to the accepted practices of picture making."